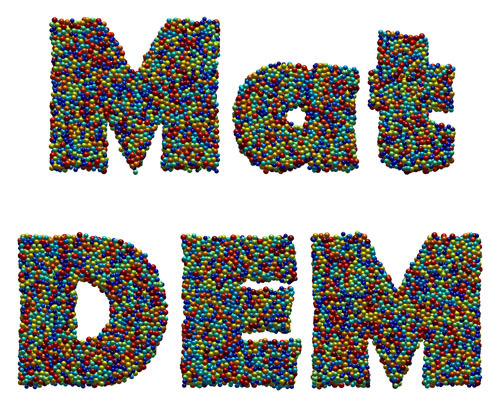 Since the MatDEM was released last May, we have received many feedback from the academic comuunity and industry, which has greatly promoted the development of MatDEM. At the begining of 2019, we want to say to the MatDEM users, thank you for your support and Happy New Year! When the aboved model is built via the first step of MatDEM. The following code can be used to generate the MatDEM words by binary images.